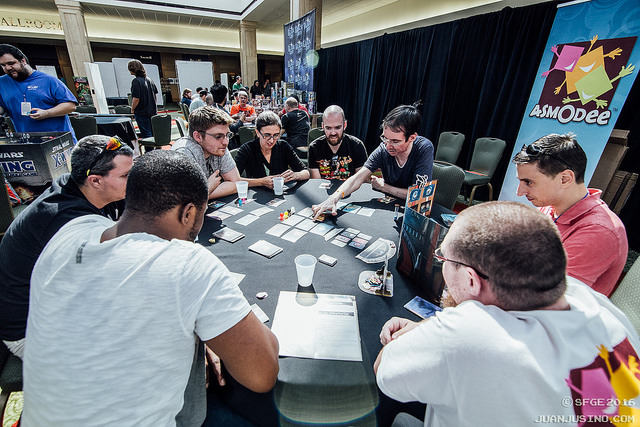 In addition to the massive free play game library, a slew of guest speakers, and several game developers and vendors on hand, the GeekDad Tabletop Experience also includes numerous game demonstrations throughout the weekend. Curious about a game? Wanna learn something new? Drop by the tabletop area at the times below to make new friends and play new games. (Look for the “Demo” signs on tables or ask for directions at the game library booth). If you’re interested in hosting a demo session of your own, please sign up as a Game Master here.